Three years ago I posted a video of the Shadow of Yserbius using the INNRevival project. When my friends and I finally got around to making another Yserbius video I discovered that my video had been used to screenshot fodder for Justin Olivetti, the Senior Contributing Editor at massively.joystiq.com an amusing fact to say the least. I'm more than anyone know how much easier just to appropriate screenshots then to create your own: I do it all the time! It really began with my childhood, a year or two before I soldered in a math coprocessor onto my motherboard at the age of twelve in order to play a Star Trek game for DOS; I was living in an age before the Internet became mainstream. Websites weren't quite there yet, you would use IRC to chat, GOPHER to find pictures, each provider would have its own "KEYWORD" sites you could access. Yes, this was the age of dial-up! Game Point, The Imagination Network, and Sierra network; the service and went by many names however, aside from having a different title screen it did the same thing: it let you play games together. Once you started the program it would automatically dial up the service and after some initial setup you were in! I was one of the fortunate few to get unlimited subscription for the first couple months; they did away with that and raised the fee so my time in Yserbius was short-lived, but I enjoyed vicariously -- during that time I was helped the most by a lady named Rhea. I remember little about those times except exploring the low level areas, and eventually beating the game with the aid of a skilled party. I played pretty much every class there was but I enjoyed Wizard and Knight the most; these days my playthroughs are as a Knight - a hybrid Sword Melee Spellcaster. A first person dungeon crawler, Yserbius has you traveling through a two-dimensionally psudo 3D world filled with traps, monsters, and loot. Your basic MMORPG premise! You get to choose from fantasy races such as Human, Elf, Orc, Halfling, and more with classes such as Knight. Although the core game-play is mostly in the turn-based, tile filled combat, exploration plays an equally important role in the game. Honestly, without the aid of a walkthrough, the game features virtually hundreds of hours of gameplay. 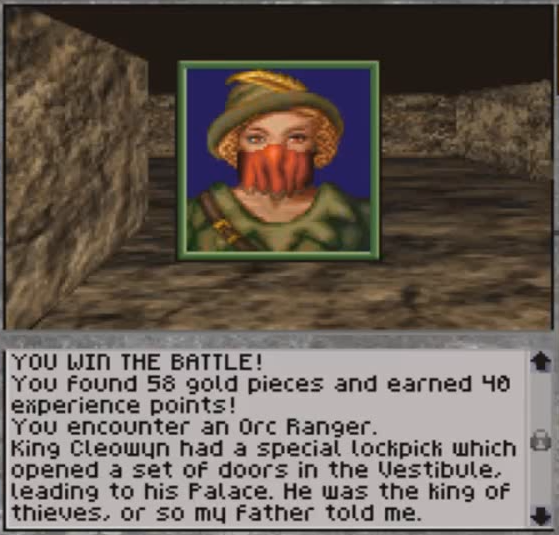 The quest system is extremely obscure, and won't really point you in the right direction - when encountering bands of enemies you may be given hints, or when interacting with signposts that pass themselves off as NPC's but those hints are so very unhelpful that you are really just left to figure it out on your own. Funny enough, the game also features player versus player combat. Although not open PVP as people are used to, your party can challenge an enemy party to a duel to the death. 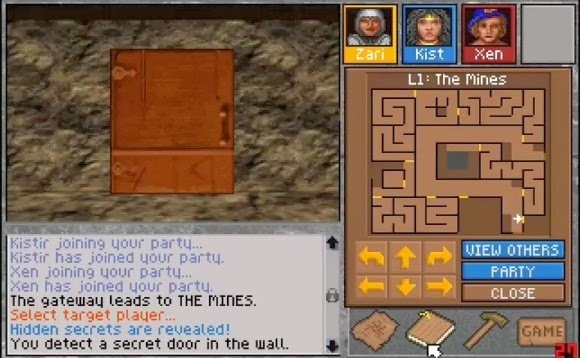 These challenges were usually done at the dungeon entrance, which on a typical day was packed full players. As with any other MMORPG-like game, the game is best played with friends and I would NOT ever recommend playing this game solo. It is very enjoyable if you can get a group of like-minded players to join you. 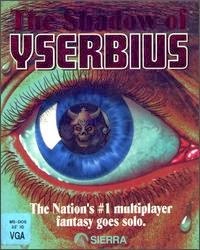 In the past, such people could have been found at Yserbius.org however that site, like many others from my golden years of gaming has faded into obscurity. My hopes are that the InnRevival server will remain up for some time so that other people can enjoy it.